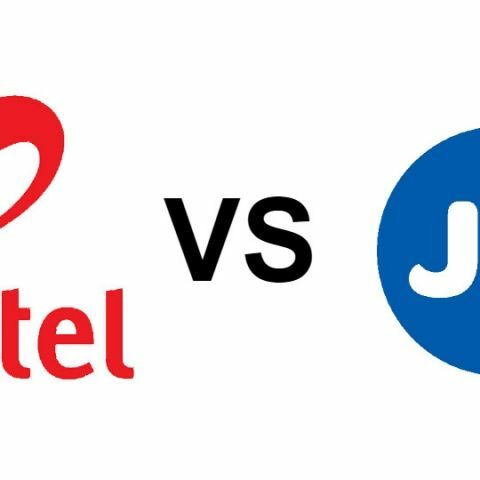 Airtel has alleged that Reliance Jio wrongly classified 95% of its users in J&K as postpaid subscribers, after police in the region directed all telecom carriers to suspend prepaid services. Bharti Airtel is seeking the cancellation of Reliance Jio’s telecom license in Jammu & Kashmir. The incumbent telecom operator has alleged that Reliance Jio flouted subscriber verification guidelines, causing a serious security breach in the J&K region. Airtel has accused Jio of wrongly classifying 95% of its subscribers in the region as postpaid users. Further, Airtel has accused Jio of ‘blatant manipulation and violation of directions,’ resulting in compromised security of the sensitive region. The clauses mentioned by Airtel call for the setting up of a committee to investigate the alleged security breach and decide on a Rs 50 Crore penalty for each lapse. Another clause asks for suspension of Jio’s license for endangering the lives of security personnel in the area. On May 27, the J&K Police had directed all telcos to stop their services citing security reasons. However, an exception was made on voice services for postpaid users. Airtel has alleged that this is the reason Jio wrongly classified its prepaid users as postpaid, and the company has also sought permission from the government that other telcos be allowed to do the same. Reliance Jio and Airtel have been at loggerheads for a while now. Reliance Jio's competitive pricing plans and free voice, data offers threw other telecom operators off their game, causing a war in India's telecom industry. Jio and Airtel have previously argued over prefrential treatment to the former by the Telecom Regulatory Authority of India (TRAI). The two have also locked horns over Airtel's misleading Ad campaign claiming to be the fastest network in the country. Looks like the telecom war between Airtel and Reliance Jio is here to stay and the duo will continue to battle it out over special offers and tariff plans for time to come.